Beginning a new health routine is not easy, and in my opinion it is just not realistic to take a plan and try and follow it to a T. Don’t be afraid to tweak a plan to fit your lifestyle! Otherwise you are simply setting yourself up for failure. This is a journey, and you will have plenty of time to tighten the reigns. So slow down, take a deep breath, and figure out what you want to accomplish and where you are going to start. For me, the starting point was obvious. I LOVE Tosca Reno, and I especially love her Clean Diet principles. In my opinions, this “diet” is the only one that is realistic and straightforward in terms of what really needs to be done to get the body of your dreams, and for those of you on the fence, Reno’s books are great when it comes to breaking things down and making the information easy to swallow. That being said, while I want results and I want them fast, I would much rather take things one step at a time and minimize my potential for failure. So instead of going clean cold turkey, I started to look at specific areas I could change focusing on continual growth. Where this process has helped the most is when it comes to my boyfriend, who works out religiously, has amazing genetics (no one in his family ages past 50), but also survives on carbs and soda. So our first deal? 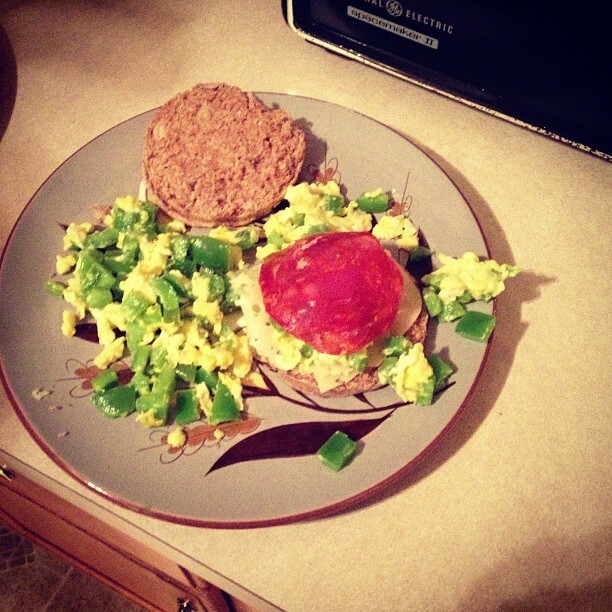 I make breakfast when I don’t have to teach TRX at 5:30 AM, and we fend for ourselves on the days that I do. It doesn’t have to be complicated, and in reality you will be more likely to stick with it if you keep it simple. Start with something you like, and gradually make things healthier. 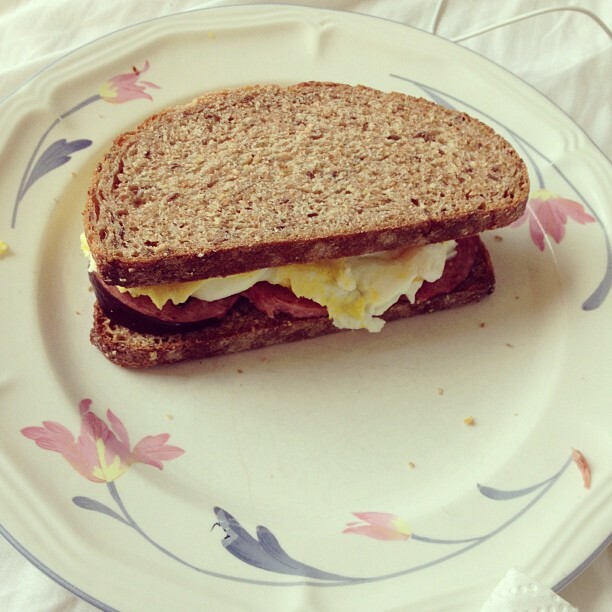 For example… our breakfasts started out roughly like this (480 calories). And then became this (420 calories). And we are both now down to half an Ezekiel with more veggies, 1.5 eggs each and no meat (230 calories! )…extremely satisfying!